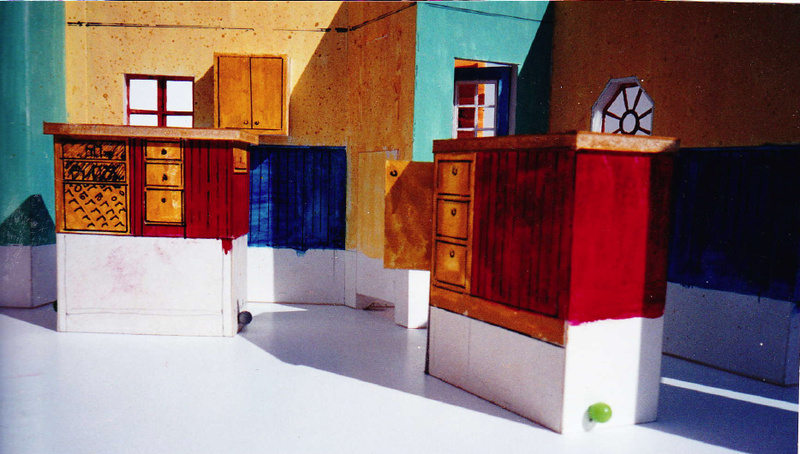 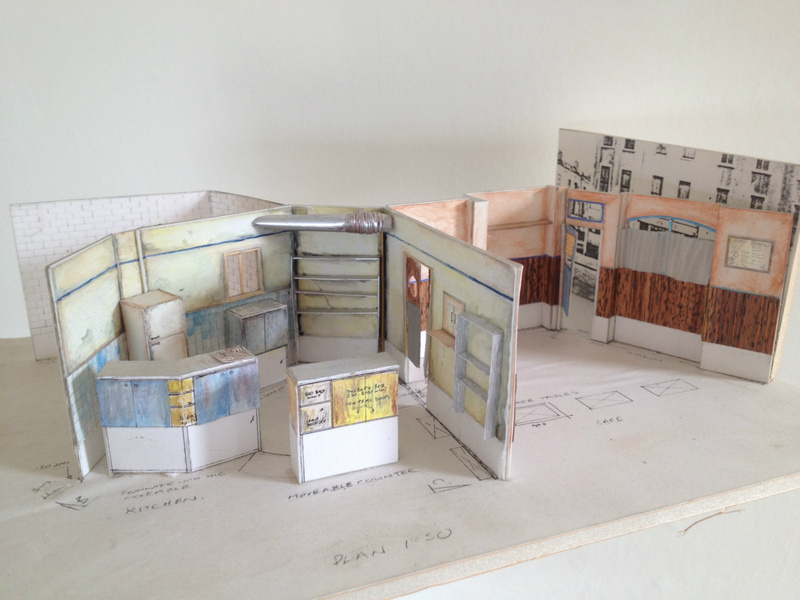 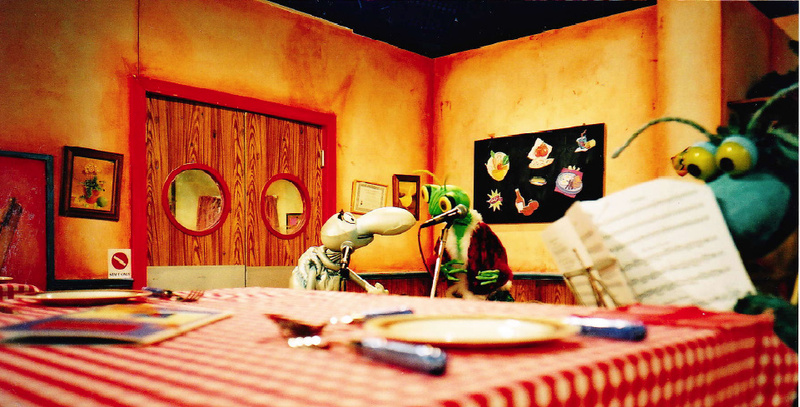 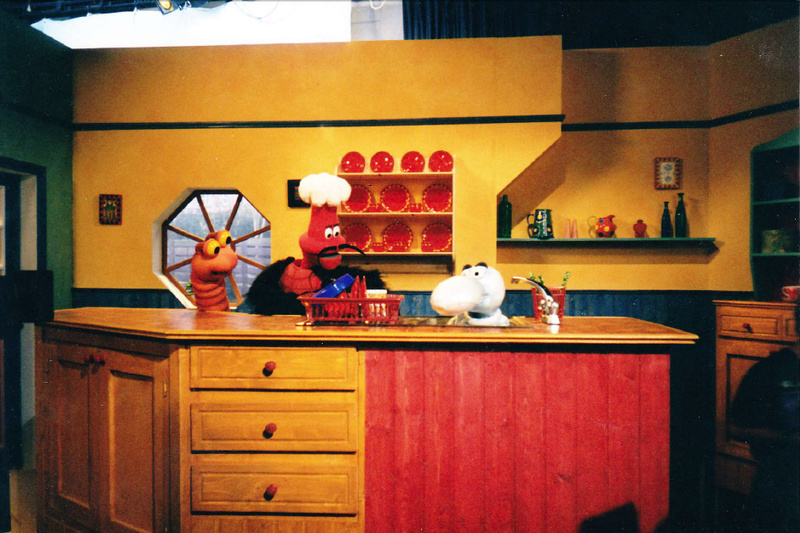 This series,produced by Catherine Robbins, written and directed by Peter Eyre and Francis Wright,was another puppet show which ran from 1996 - 2000 and around 78 episodes were recorded in Fountain and Capital studios, London.A simple raised set house interior was later followed by a greasy Cafe and kitchen (Art directed by Lucy McDonald) to extend the range of the series. 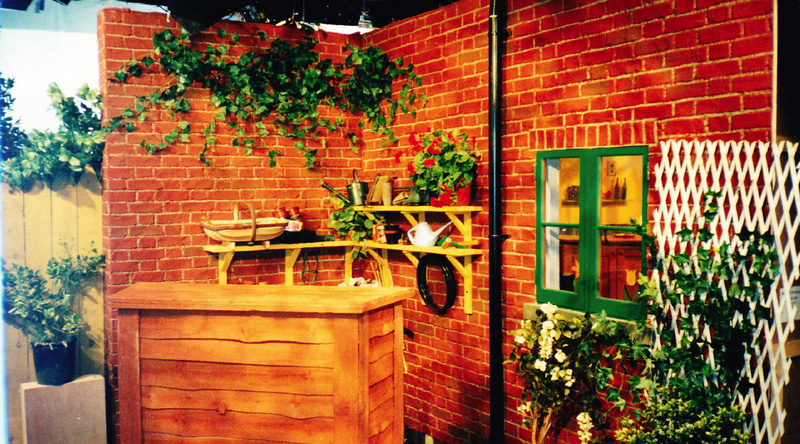 Tight budgets from Two Sides Tv meant that the sets were minimal but still effective! 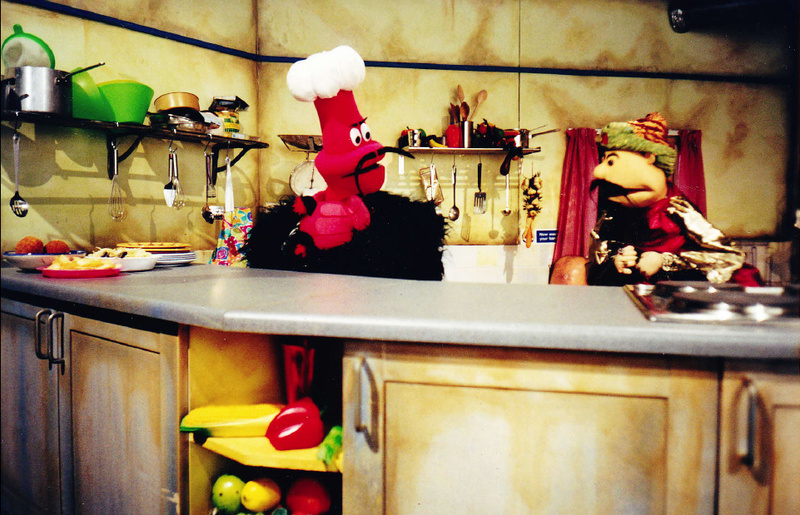 Grub Bug,Plug Bug and worm in the House! 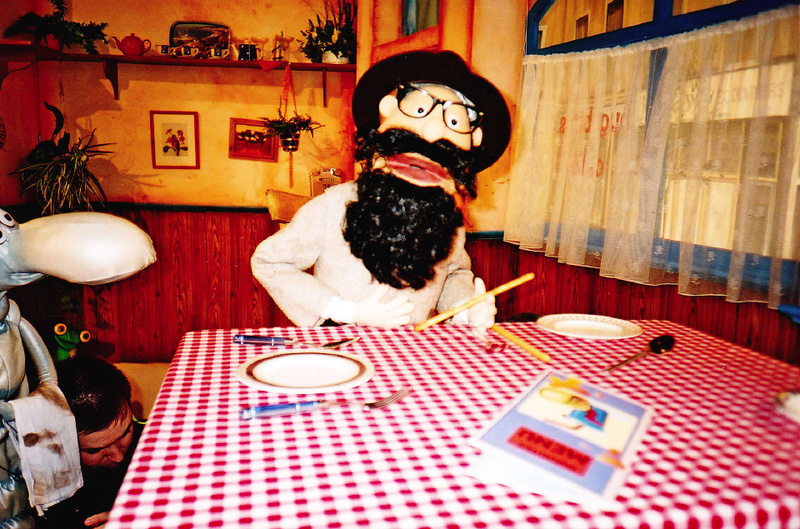 One of the Cafe's customers!